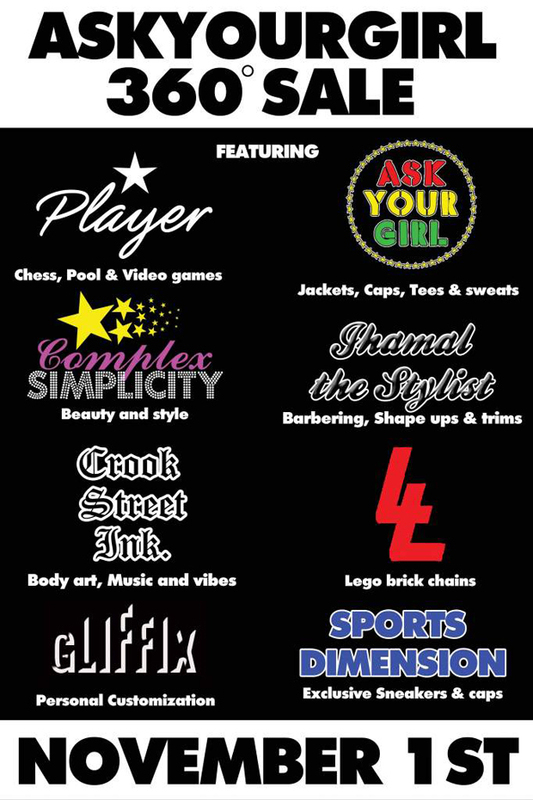 Ask Your Girl presents “360”, a lifestyle brand and service event featuring the best in fashion, beauty, customization, styling, body art and entertainment. 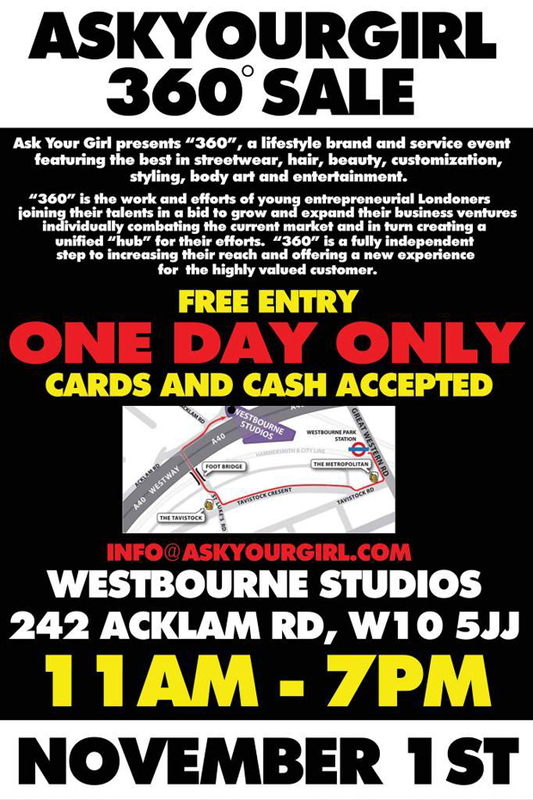 The all day event will take place at the Westbourne Studios in London’s, Notting Hill on November 1st 2009. All brands involved will be providing their unique services on the day headlined by Ask Your Girl Clothing debuting their new AW09 collection featuring new exclusive designs and colors ways, plus brand favorites. Jhamal the Stiylist, one of London’s most sought after barbers will be opening his books on the day on a first come first serve basis his clients include Bashy, Theo Walcott & Ledley King. Sports Dimension, West London based stockists of exclusive sneakers and streetwear will be offering a selection of rare sneakers and new era caps from their collections. South west London based Crook Street Ink will be providing body art and tattoos during 360 and providing music throughout the day from artists Suga Dzl, Suarve-i, Dj SL, Amy and Gizla. Lyrics 4 lyrics will be offering their unique take on fashion accessories in the form of their plastic Lego Jewelry which is fast becoming a must have for every season.